Today I thought I would share with you a new type of post that I'm thinking of making into a feature for my blog that I like to call 'Love Eat Make'. It's just a small post to share something I'm loving, something I'm eating and something I'm making during my week. I hope you like it! 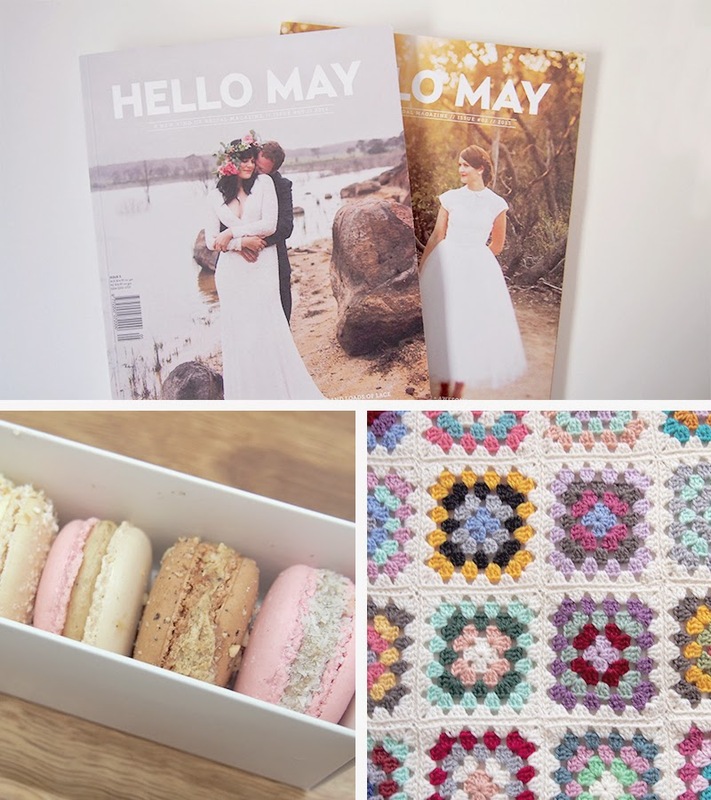 LOVE | Since becoming engaged I've been loving the magazine Hello May. It's a bridal magazine that features creative and non-traditional weddings (that I much prefer!). I have bought two copies of this magazine so far, and I love it so much that I'm thinking of ordering all of the past issues so I can add them to my collection. 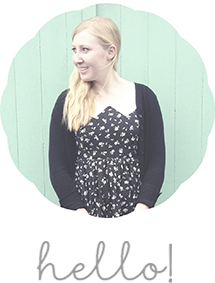 Their blog is also really inspiring! EAT | A couple of weeks ago, a group of friends and I went to Melbourne for a weekend and while we were there we visited Adriano Zumbo's patisserie and I bought a box of his delicious macarons. They were amazing, and I will talk about them in more detail in a separate post soon. MAKE | At the beginning of winter I started a new granny square blanket using different scrap pieces of wool. I love how it is turning out and really like the fact that I'm using wool that would have otherwise been thrown out. I will also share this project in more detail soon! I've recently just got engaged but won't get married for a few years yet (going to graduate from Uni first hopefully) but I want to pick those magazines up now, they sound perfect!